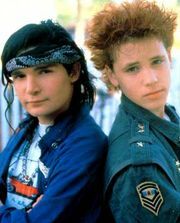 Even though I poked fun, I think it was apparent in my posts that I felt a good deal of sympathy for former teen idol Corey Haim. His rise. His fall. His struggle to scratch and crawl his way back—well, it all made my heart ache a bit. Especially the above Variety ad, which struck me as so hopeful, yet so clueless. But that was last week. This week, I lost my job. 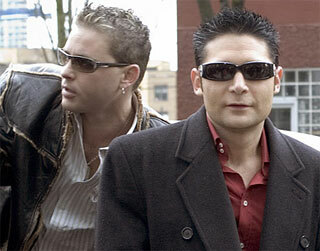 This week, I’m unemployed. Now I feel differently. Now I feel empathy. 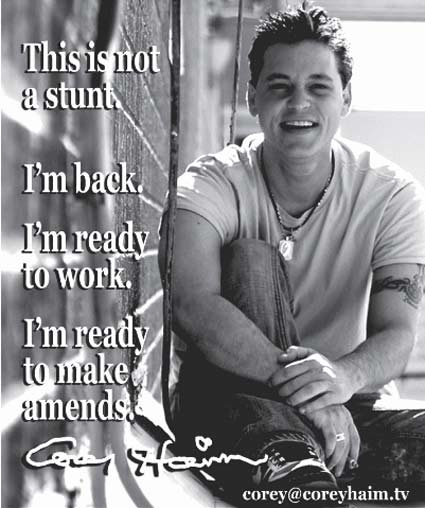 Now I look at that Variety ad and think, yes, Corey Haim, I feel you. I, too, am ready to work. It’s a damn shame you filled your assistant position so quickly.